Focusing on skills for everyday practice, this full-color textbook/CD-ROM learning package makes it easy to master dental hygiene concepts. 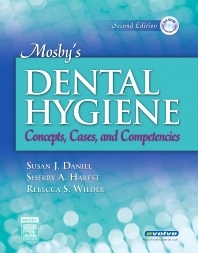 The text presents essential dental hygiene information in a logical sequence from setup to assessment to treatment. The CD includes “how-to” videos on procedures and techniques, along with many case studies and interactive exercises. You won't just understand key concepts, you'll learn how to apply them!